Alert1 has been a trusted brand of medical alert systems since 1988. They are known for their nationwide service and excellent customer support. Their official website offers standard information such as detailed descriptions for each of their products, a price comparison guide, customer reviews, customer support, and online ordering. On the official site you’ll also find the Alert1 blog where you can read up on a variety of topics, from fall prevention to Mother’s day recipes! See their official website: www.alert-1.com. 24/7, around the clock safety. At the push of a button you will be connected to one Alert1’s fully certified command centers, operated in the United States. Free 24 hour tech support. 30-Day money back policy on annual plans. Unlimited button pushes and talks time. The device is considered the most advanced fall detection technology you can buy. It is meant to be used at home and on-the-go. The device is conveniently worn on a pendant and has sensory technology that will automatically call a command center when a fall is detected. A GPS is built-in and will detect your location, sending help to you immediately. This device is designed for mobile use only, and will automatically place a call for help after sensing a fall, even if you are unable to push the button. The built-in GPS technology can pinpoint your location to get you immediate help. The difference between this device and the Mobile + Home system is that it is a single device and is for mobile use only. With this device you can enjoy safety while maintaining your independence. It is meant for mobile use and does not include a sensor; it requires the press of the button to activate and send help. No GPS included. This at home system includes modern motion detection technology. If a fall is detected, the pendant will place an automatic call for help, if you are unable to push the button. Detects falls. Automatically calls our 24/7 Command Center. 400 ft. range from base unit. Two-way voice in base unit. Included: POM unit, fall sensor pendant, phone cord, AC wall plug, & User guide. This basic at home device is easy to install and consists of a small speaker box that plugs into a phone jack on your wall and an electrical outlet. Press your alert button and get immediate help within the 600 ft coverage area. Push the button, get help fast. 600 ft. range around the base unit. Included: POM unit, help button, phone cord, AC wall plug, Quick Start Guide. If you are seeking a top-of-the-line, multi-functional device that can be used at home or on the go, The Mobile + Home Fall Detention System is for you. Although it is the most expensive of all the Alert1 devices, it could be considered the best value as it serves to two purposes and features the best technology. If you are strictly shopping for a mobile alert system, the Mobile Fall Detection System is the better value. It offers more features and better technology at the same price point as the Mobile Medical Alert device. Finally, if at an at-home alert system is all you need, you’ll want to decide how important the motion sensor feature is to you. 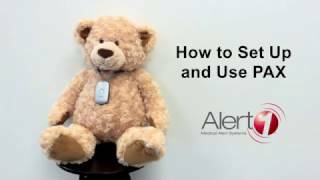 At a price difference of only ten dollars per month, it may well be worth it to invest in the Fall Detection Medical Alert Device rather than the most basic Home Medical Alert Device. 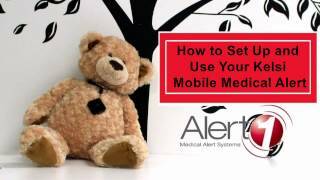 Clearly Alert1 offers a variety of high-quality medical alert products to meet your needs. Here are a few things that set them apart as a company: no long term contracts, rigorous product testing and quality assurance, easy installation, quick shipping and free returns, upfront fees and pricing. You can buy similar products on the market, but Alert1 has a reputation for high-quality and integrity. You can shop with confidence. 2016 Wisenior.com. All rights reserved.